"Congratulations. Your are being rescued. 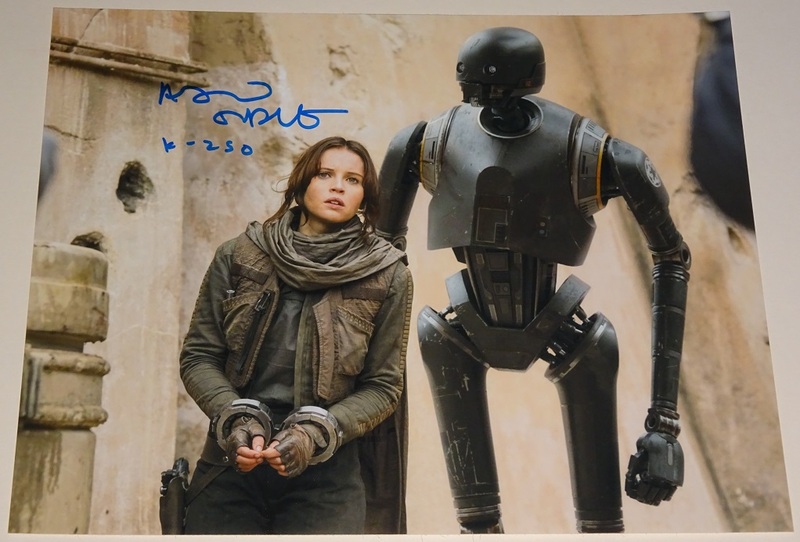 Please do not resist..."
This great 11x14 of K-2SO and Jyn Erso from Rogue One has been signed by Alan Tudyk who voiced the role of the droid in the smash hit film. In Rogue One all looks lost for the Rebellion against the Empire as they learn of the existence of a new super weapon, the Death Star. Once a possible weakness in its construction is uncovered, the Rebel Alliance must set out on a desperate mission to steal the plans for the Death Star. 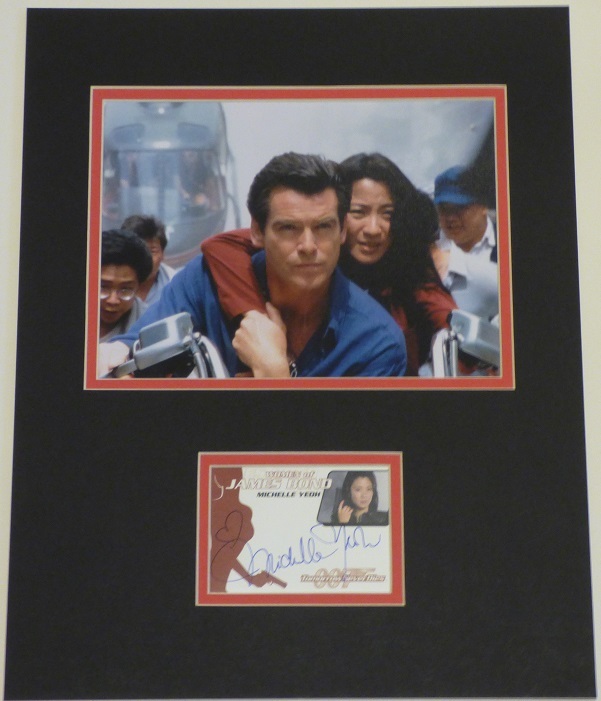 The future of the entire galaxy now rests upon its success....The purchaser will receive full details of where and when Alan signed this piece. K-2SO was a former Imperial KX-series security droid who was reprogrammed by the Alliance to Restore the Republic. He was a member of the Extraction Team Bravo which in 0 BBY helped Jyn Erso escape from the Wobani Labor Camp. As Erso ran outside to escape, K-2SO seized Erso, threw her to the ground, and told her not to resist as she was being rescued. Bravo Team's U-wing transport, Bravo One, encountered a minor technical setback and was unable to jump to hyperspace. The team proceeded to take refuge in an asteroid field in Wobani's star system and K-2SO sent a priority transmission to all available Rebel vessels. An X-wing starfighter squadron called Red Flight answered their call and saved them from incoming Imperial forces. K-2SO is is co-pilot and "sidekick" to the rebel pilot Cassian Andor, and lends comic relief to the film. Ann Hornaday of The Washington Post noted K-2SO's "angular, spidery limbed" appearance, calling him "snippily sarcastic". IGN's Eric Goldman described the droid as "C-3PO's dark, amped up counterpoint. Like Threepio, he has a knack for giving troubling statistics, but instead of speaking with a worried attitude, K-2SO ... has more of a resigned and often amusingly cruel and blunt approach." The Star Wars films are a global success, having entertained generations of fans since the first installment hit cinema screens in 1977. Gareth Edwards' Rogue One surpassed all expectations and seemlessly told the story that led to A New Hope. This is a wonderful opportunity to bring the magic of Gareth Edwards' and George Lucas' far, far away galaxy into your own home.